Here is a taste of the delicious recipes you will receive in the From Scratch Cooking: 2019 Edition cookbook. 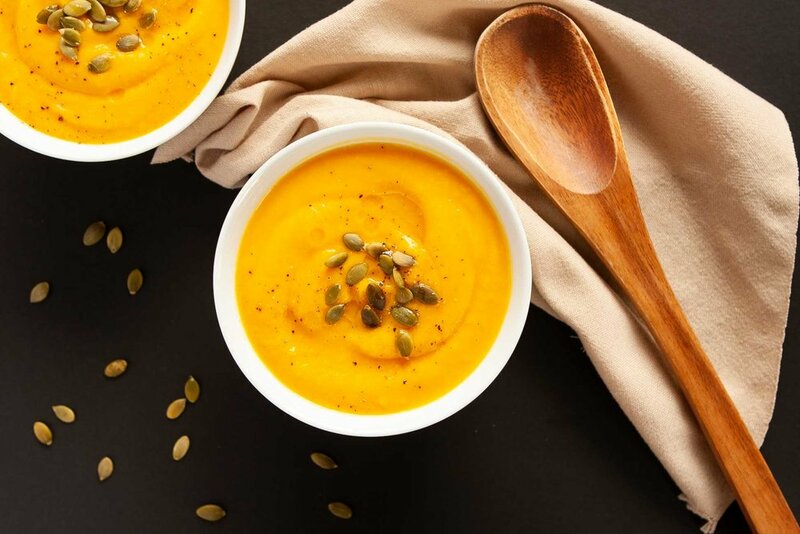 Check out this amazing Roasted Butternut Squash and Cauliflower Soup recipe my colleague, Melissa Torio created. 1.Pre-heat oven to 400 ̊F. Line a rimmed baking sheet with unbleached parchment paper. Place the squash, cauliflower and onion pieces on the lined baking sheet. Drizzle with olive oil and make sure all the vegetables are coated and distributed evenly. Use another lined baking sheet if required. Place in oven and bake for 25 minutes. 2. Meanwhile, in a large pot, warm the broth or water on medium -low heat, while the vegetables are in the oven. 3. After the vegetables are done roasting, take them out of the oven. Carefully add them to the soup pot. Add salt and mix well. 4. You can use an immersion blender or a vented blender. Place the immersion blender into the soup pot and carefully purée the soup until smooth. If using a vented blender, carefully add the soup into the blender container and purée until smooth. This may need to be done in several batches. 5. Serve warm with some freshly ground black pepper. Top with some pumpkin seeds, if desired. Enjoy! Bonus Tip: Freeze extra servings of this soup for another day.